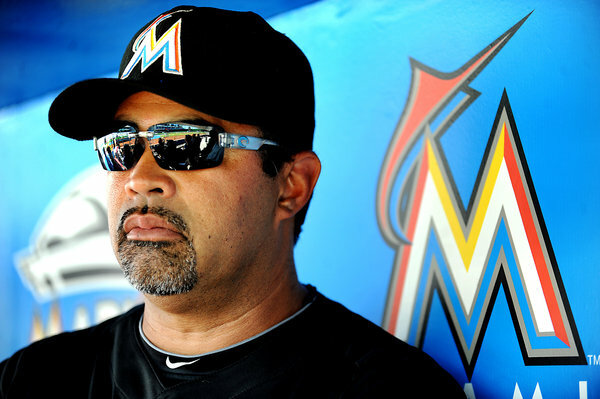 New Marlins manager, Ozzie Guillen possibly leaving? Last week Miami Marlins Manager, Ozzie Guillen made headlines for his comments in Time magazine regarding Cuban Dictator, Fidel Castro in a negative way. Guillen told the magazine that he loved and respected Castro and admired what he did. However, those comments wouldn’t sit well with fans, community members, and other people not involved in the baseball community as people wanted Guillen fired. So as a result to all of the publicity surrounding his comments, Guillen decided to address the media on Monday before his team’s game against the Philadelphia Phillies that afternoon. As for what he meant by that was a press conference, which he scheduled for Tuesday at 10:30 a.m. Eastern Time zone at Marlins Park. As for who could come? Guillen said anyone, as he didn’t want to hide or not answer anyone’s questions. However, a press conference and apologies aren’t good enough as a Cuban-American advocacy group in Miami, Vigilia Mambisa, has said that they will orchestrate a boycott until the Marlins fire Guillen. On a lighter note, the Marlins would bounce back from a 6-5 loss to Cincinnati on Sunday as they would defeat the Phillies, 6-2 improving to 2-3 on the season. 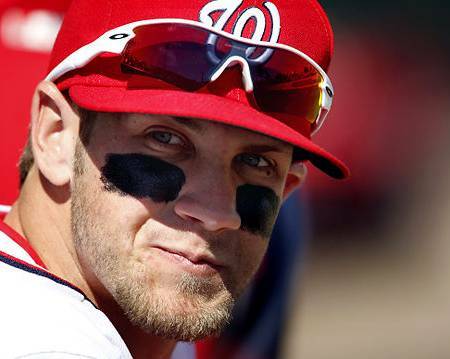 Bryce Harper needs an attitude adjustment from John Cena. It was a full count at 3-2 with Bryce Harper at the plate. The pitch was thrown slightly left and Harper thinking it was a ball headed towards first. However he was wrong, it was a strike. Base home plate umpire Max Guyll called him out on a strike. As for Harper he didn’t agree and within seconds he re-in acted a scene that we have seen several times. Harper threw his helmet on the ground and began yelling while standing face to face with base home plate umpire Guyll. Harper was pointing fingers, digging his cleats into the ground, and screaming at the top of his lungs trying to prove that the pitch called a strike was a ball. Though base home plate umpire Guyll didn’t care as Harper was immediately ejected. Fans rose to their feet clapping and cheering as number 34 left the game. One fan even yelled “there’s that maturity, there’s that maturity” repeating it several times. He was right, there was no maturity and there hasn’t been any shown from Harper as he’s always getting ejected from arguing with the umpires. When will it stop? Nobody knows, and after being selected first in the MLB Draft doesn’t help either as it may just make matters worse. Harpers attitude that he’s been showing to the umpires is just horrible as he displays an “I’m better then you” type attitude and it needs to stop. Just like your mother always told you “Santa’s watching” well young Bryce the major league umpires are watching you, and these outbreaks are going to catch up to you. These fights and arguments displayed by yourself may turn a ball just outside the box a strike instead of a ball. These umpires stick together Bryce and you better start showing them some respect because they may break or make your career. Also too let’s be honest why were you even getting in Guyll’s face? You really do owe him an apology because he could’ve easily have given you a nice beat down. In the meantime Harper cry me a river build me a bridge and shut up and just play baseball. The addition of Beltran might just lock up another title for the Giants. Months after winning the World Series the San Francisco Giants who began their quest to repeat in April, started to slow down and show signs that they were no longer baseball’s best team. So with the trade deadline approaching the Giants decided to trade for former New York Mets outfielder Carlos Beltran. After talking several times to each other the Giants and Mets would come to an agreement, however it wouldn’t be official, not until Beltran gave his approval. Sure enough shortly before the Mets Cincinnati game Beltran would tell his team his decision. Shaking every one of his teammates hands Beltran would say his goodbyes and leave the clubhouse, as he was going to be A Giant. 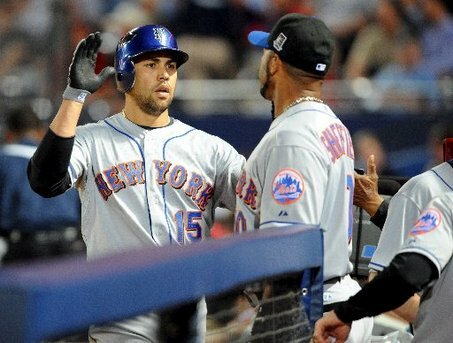 “He came over and shook everybody’s hands and said thank you,” Mets outfielder Angel Pagan told ESPN. “We were very happy for him. He’s going to be with a team that’s a contender.” The Mets would then leave the Clubhouse to take the field against the Reds. They would go onto win 8-2 against the Reds winning in their first game without star player Carlos Beltran. The official deal that was made will send Carlos Beltran to Giants in exchange for pitcher Zach Wheeler. The Mets also agreed to pick up $4 Million of Beltran’s $6.5 Million that’s left on his contract. Beltran who will join the Giants on Thursday will be a huge acquisition as without even playing a game in a Giants uniform Beltran is already their number one hitter. As it stands right now, Beltran will come in leading the team in home runs, RBI’s, and on base percentage. The only thing he won’t be leading in is his batting average that is third behind Darren Ford and Pablo Sandoval. This move now not only puts the Giants as the front runners to win their division but the front runners to win the National League and possibly even their second straight World Series. The Giants now have everything from pitching to fielding and now to hitting. This team is ready to not only win it again but their ready to become baseball’s next dynasty. David Ortiz and Kevin Gregg fighting after exchanging words. Fighting; it happens everyday. Rather it’s an argument or if it’s physical, it happens and happens at all different extents. You see it in your town, your school, your job, and many other places…but sports? Yes, it’s in sports too, however is it right? Now while Boxing and UFC, fighting is the main objective of the sport so fighting is okay, but what about the others? Baseball, Basketball, Football, Hockey, Soccer, is it okay and if so where do you draw the line? On July 8th David Ortiz of the Boston Red Sox went up to plate. The first pitch an inside fastball, the second pitch another inside close fastball, the third pitch again an inside fastball except even closer. So close that Ortiz took a couple steps towards Baltimore Orioles pitcher Kevin Gregg, pointing and confronting Gregg about the close pitches. Ortiz after cooling off would go back to the plate and play would resume. On the fourth pitch Ortiz would pop out to shallow right field. Then as Ortiz was walking back to the bench Gregg and himself would exchange some words. Ortiz still heated about the close pitches would charge Gregg pushing him several times and throwing several punches at pitcher Kevin Gregg. The benches would clear and the fans would cheer as there was a brawl in Fenway. A couple days later Major League Baseball would lay down the last and final blow handing both Ortiz and Gregg four game suspensions and fines of undisclosed amounts. 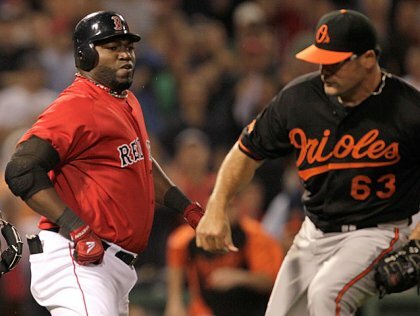 This incident, between Ortiz and Gregg certainly wasn’t the first baseball ever saw, let alone sports ever saw. We have seen it before, the brawl of 2004 between the Indiana Pacers and the Detroit Pistons, Oregon running back Lagarrette Blount sucker punching Boise State’s Byron Hout after losing to the Broncos, or Tennessee Titans wide receiver Cortland Finnegan and Houston Texans wide receiver Andre Johnson fighting after a shove match from the play before. We have seen it before, plenty of times, but the question remains, is it right? Is it right, that these players who are fighting on National Television in front of thousands of fans and cameras exchanging words and fists, is it right? Why it seems exciting and great at first, in the long term after being replayed and talked about and shown all over the world these fights or incidents are wrong. These fights or incidents not only make the two or more people involved look bad, but they send the wrong message to the future generations to come. Why I’m not saying everyone holds hands and sing kumbaya, I’m just saying that these fights and brawls have to come to an end. So if it’s laying down harsher punishments or creating new rules to help prevent it, then it has to be done. Though even if that’s not possible the main thing that should be done which is inexcusable, should be the players involved in the matter apologizing to the media and saying some message to the fans and the people watching about how their actions were wrong. Now that would help make things better. Kumbaya. He began the day at 2,998 a milestone that would complete a career, a milestone that some would never reach and some not even dream of. Though at age 37 with still a couple seasons left in his career short stop Derek Jeter was at this number and was approaching the Major League milestone of 3,000 hits. A milestone only completed by 27 other Major League players. On Friday night Yankee fans were ready to see the milestone of 3,000 be completed by their cherished superstar who gave them 16 hard seasons, 5 World Series championships, and countless amounts of great plays. However the game would be postponed. So Saturday June 9th at 1:05 Eastern Time Derek Jeter would have his chance. Needing just two hits Jeter facing the Tampa Bay Rays was ready to reach it. 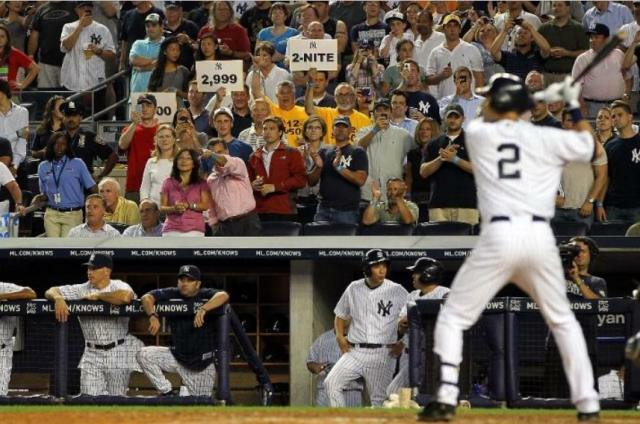 After a one, two, three inning in the top of the first Jeter would come to the plate ready to get hit 2,999. Like he wanted he did as he swung and hit the ball into shallow left field for a single. Fans rose to their feet as Jeter was now just one hit away from making history. Jeter would return to the plate in the bottom of 3rd inning facing the same pitcher as he did in the first, David Price. With Yankee fans and baseball fans all around the world watching and tuning in to see Jeter reach this unbelievable milestone one could only hope that he would reach it and reach it on that day. Jeter swung then hit sending the ball back…back…back….HOME RUN! Jeter had done it. Mr. Yankee was now Mr. 3,000 and what a way to do it then to do it with a 420 foot home run. Fans rose to their feet, players took of their caps, and number two ran all four bases for hit 3,000. Jeter would go onto finish the game in perfect fashion, going 5 for 5 with a home run and two RBI’s in a 5-4 victory over the Rays. However Jeter now at 3,003 hits still isn’t done yet as he still has more games to play and more hits to get but that hit, number 3,000 will always be his number one. So hats off to Jeter, and hats off to a day that will never be forgotten. The List of Players to Reach 3000 Hits. Baseball nation is getting fired up for spring training. It marks the beginning of a new season and new predictions for who will win the World Series. The New York Yankees are the defending champions but may have their work cut out for them as 2010 has brought about various roster changes. If you want to catch the defending champions at a home game at the New Yankee stadium, individual game tickets will go on sale later in March. My advice is to pick them up early before the season starts. That is when they will be the cheapest. If you wait too long and the price of admission to Yankee Stadium becomes too much for just a few hours of entertainment, I highly recommend going to see them when they play away at the Toronto Blue Jays in Canada or at the Cleveland Indians in Ohio. Both locations are within respectable driving distance, especially for anyone located in the Upstate area, and have reasonably priced seating options. After hitting up a game in Cleveland last year, I will admit that Cleveland fans are also very hospitable and aren’t too bad with the harassment either. Actually, the people I had the most issues with were other Yankee fans that were throwing stuff at Cleveland fans and hitting everyone with food that was in their path. Don’t get me wrong, I love my fellow Yankee fans, but at this particular game, I actually found myself siding with some Cleveland fans to battle some obnoxious Yankee fans. Some people can’t handle their alcohol.